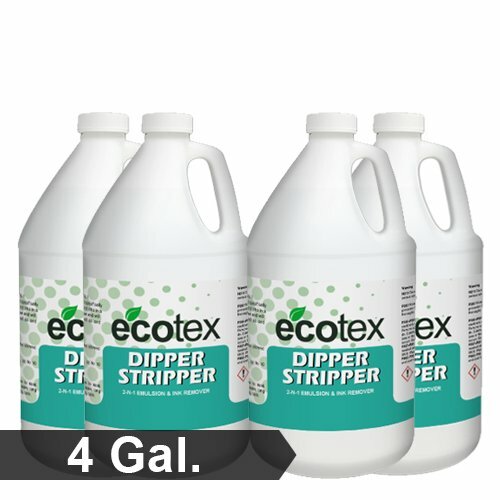 Dipper Stripper is a water soluble 2 in 1 ink degradant and emulsion remover. It removes all photo-polymer, diazo and capillary film emulsions. It has been formulated to break down plastisol inks and UV inks. Fill tank with correct amount of water, then add dipper stripper to the tank. Up to ten parts of water. Put screens in tank and let sit for 1-3 minutes. Only let screens soak until the emulsion softens enough to rinse off. Emulsion should not come off inside of the tank.